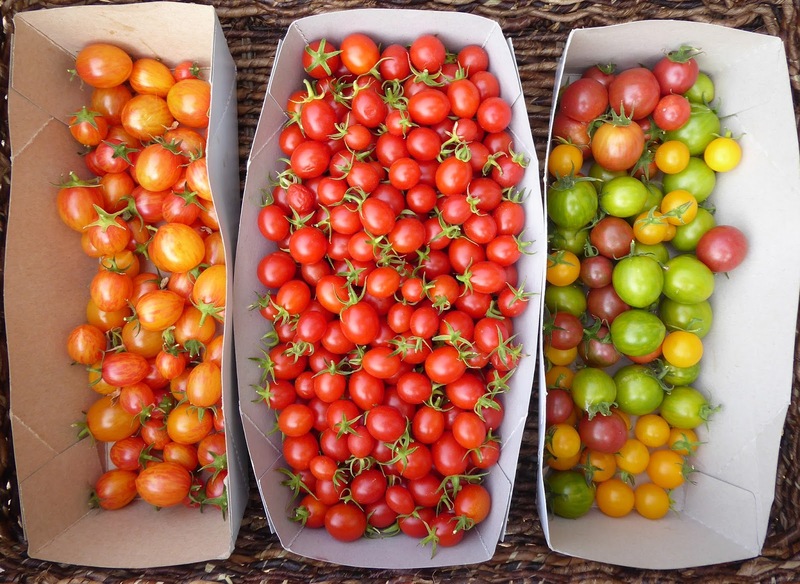 This probably isn't the opening photo you were expecting for a November 27 harvest post - tomatoes! Yes indeed, there's still a trickle of fresh ripe tomatoes coming from the garden, mostly cherries as you can see. The weather has been very mild this fall, more than mild actually, we just went through another round of 80ºF plus weather. 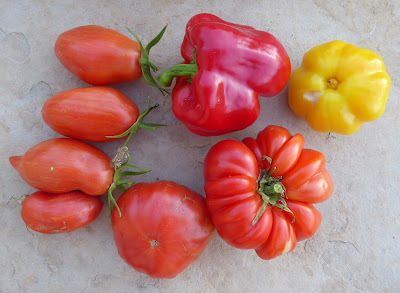 The warmth has kept the tomatoes and peppers ripening on the vine but the plants are slowing down and looking pretty ratty and most of them don't have much left to ripen so it won't be long before the colorful harvests are finished. 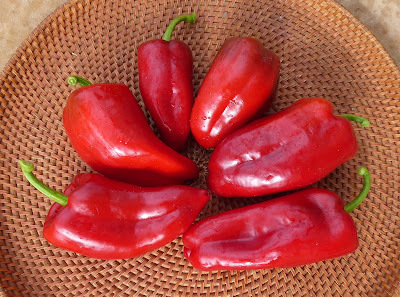 That's the last of the Ometepe and Rosso Dolce da Appendere peppers but there's still a few Gogosar peppers ripening but once those are done that will be it for the sweet pepper harvests. I'll be clearing out most of the plants soon. Most of the peppers that are left in the garden now are seasoning peppers. That's the first harvest of Aji Amarillo Grandes and there's still one more Aji variety to ripen. Aji Golden and Aji Angelo are about finished producing. 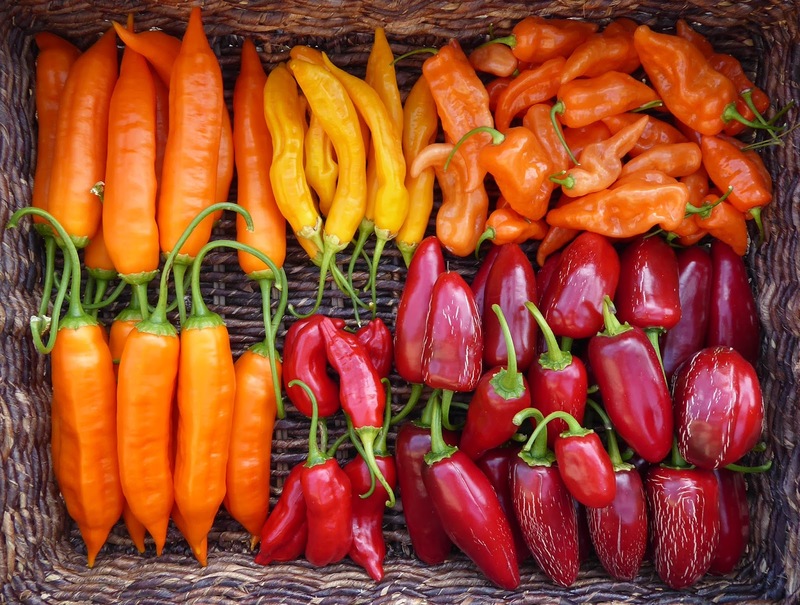 There's a few more Jalapenos left, a bunch more Habanadas, most of the Caribbean Seasoning peppers have yet to finish ripening, more Mareko Fana peppers are ready to harvest, and most of the remaining Ethiopian Brown peppers are still green. 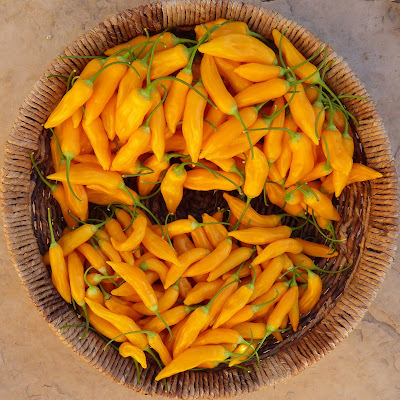 Last season I was harvesting some Aji Amarillo Grandes in January and February and perhaps that will happen this season again. I have the Aji's and other seasoning peppers growing together at one end of the bed where I can keep them protected through the winter so there's a chance that the green peppers that remain may ripen and maybe some of the plants will survive the winter and produce again next year. The Tromba D'Albenga vines are still growing and blooming and producing squash. Those plants are really amazing. I keep cutting them back and clearing out old dead growth and the vines just keep putting out new growth. It seems like it's going to take a hard freeze to finish them off. The squash don't seem to be pollinating well so the bulb end isn't filling out but the long necks are full and firm and just fine. That basket of squash came in at over 4 pounds! 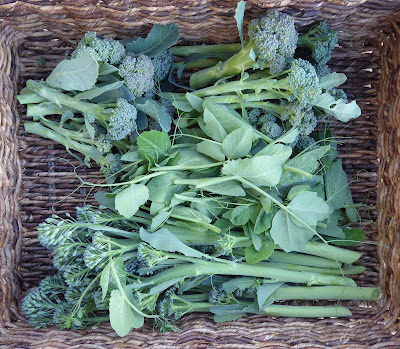 There's a few Batavia broccoli plants that have been growing for over a year now and they are still producing great shoots, the big bunch of broccoli shoots to the right of the tomato is from the 2016 plants, that small bunch on the left are from the younger plants. The new Broccolini plants are putting out good side shoots also. I didn't do a lot of cooking this past week in spite of it being a big eating holiday weekend. Dave and I spent a couple of nights out backpacking taking full advantage of the amazing warm weather. 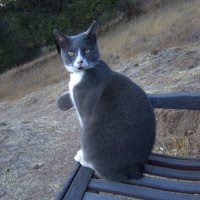 I promised Susie that I would be posting about some of the ways that I use my homegrown and dehydrated vegetables in backpacking meals so stay tuned for that. 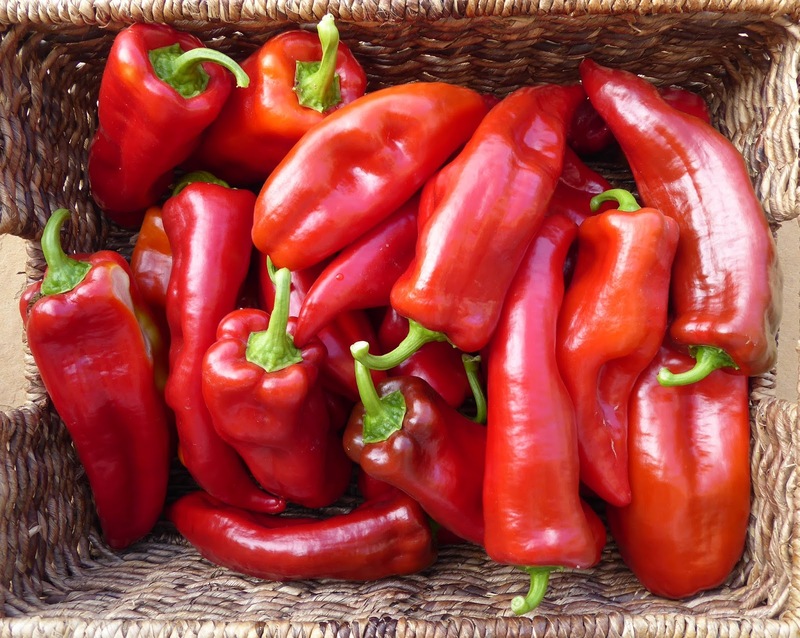 I've also been experimenting with fermenting peppers and using them in various ways so I'll also be posting about some of those experiments in the days and weeks to come. The weather so far this fall has been mild here, a smattering of rain now and then and nighttime lows dipping into the high 30ºF's but staying away from freezing which means that I'm still harvesting some colorful veggies. Most of the sweet peppers have finished but the seasoning peppers are still ripening in the garden. 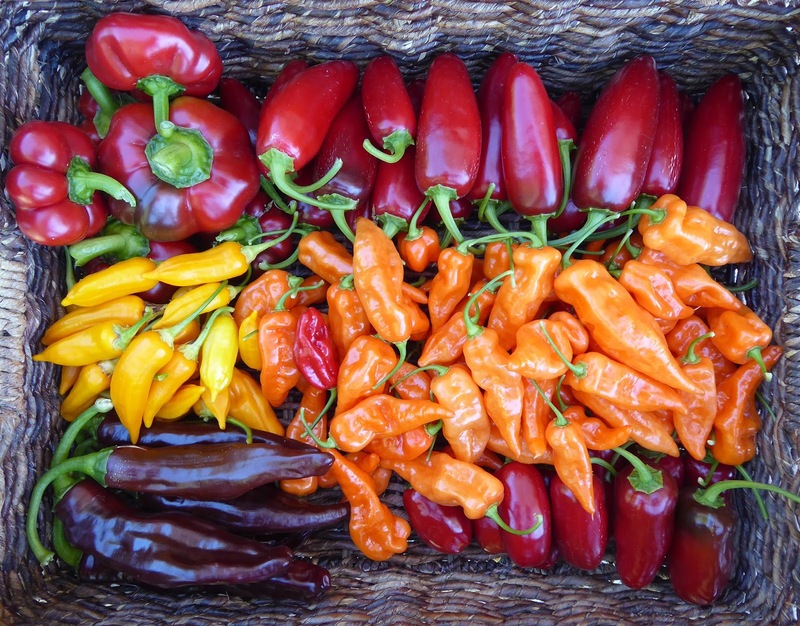 The photo above shows the harvest from one day - a few sweet Gogosar peppers, ripe Craig's Grande jalapeños from 2 different plants, orange Habanadas, Ethiopian Brown, Baby Aji Amarillos from the 2016 plant, and one small red Caribbean Seasoning. 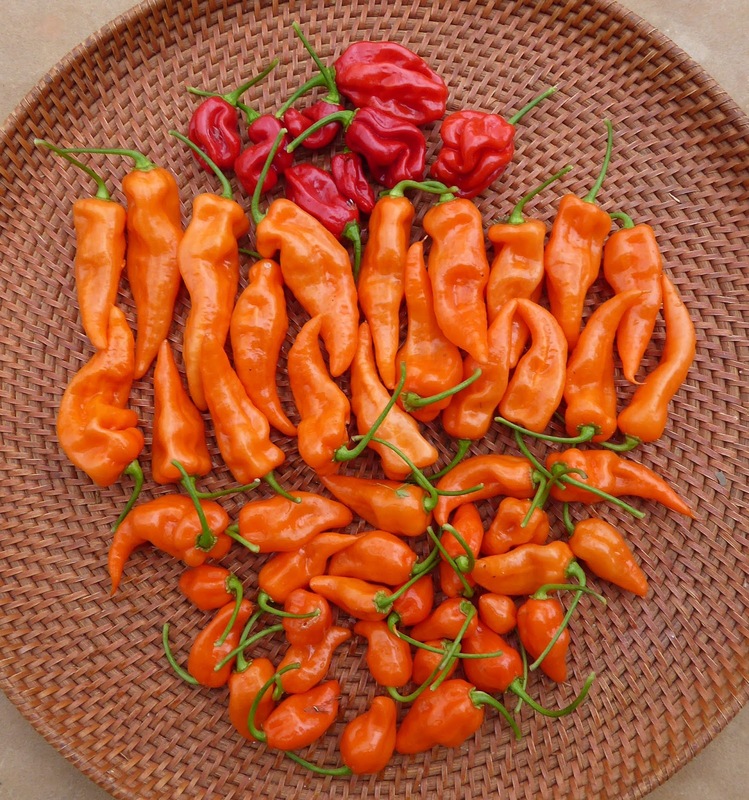 The photo below shows the harvest of ripe Gogosar peppers from the extra plants that I grew in pots. 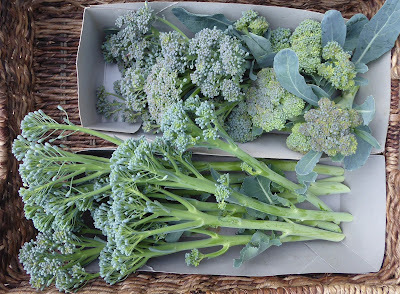 The old broccoli plants are still producing side shoots as are the new broccolini plants. In the center of the basket above are a bunch of pea shoots. I sowed a bunch of seeds for shelling and snow peas directly into the garden on October 1 and didn't get great germination. So instead of letting the few plants sprawl around I trimmed them back to force them to branch out and make room for some more seedlings that I've got going in paper pots. The tender parts of the trimmings went into the harvest basket because I've learned that the tops of just about any pea variety are good eating. Those went into a stir fry along with some of the broccolini. Another new pea variety that I'm trying is Petite Snap Greens. 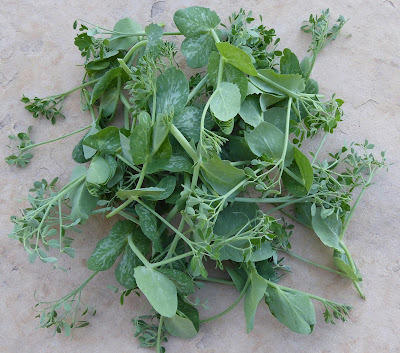 This pea is grown just for the unique greens. Even the tendrils on this variety are leafy which makes nearly the entire plant edible and very cool looking. You're supposed to be able to get multiple harvests from first the main shoot and then side shoots that grow back. Unfortunately I got poor germination from this bunch also. I think the problem wast that we had a heat wave just after I sowed the seeds. I'm definitely going back to my preferred method of starting peas in paper pots. Also harvested but not photographed last week were about 3 more pounds of tomatoes, mostly cherry, and a few more stalks of celery, and a few more pods of some dried beans. I've been waiting to show the colorful dried beans that I grew this year. It hasn't been a big harvest but they sure are pretty. 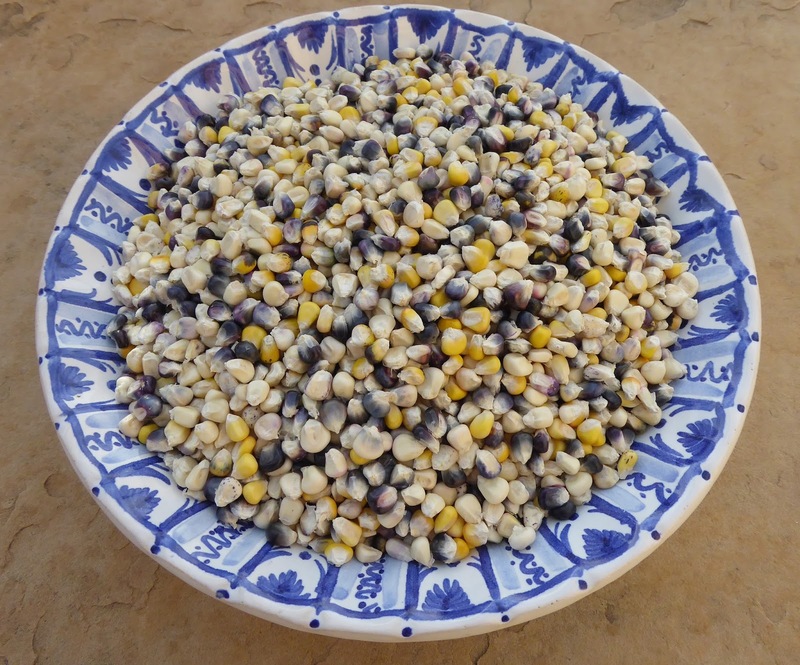 And I'll end with a photo of the rest of the Santo Domingo Rainbow corn that I finished shelling last week. The total harvests for the year have passed 900 pounds but it doesn't look like I'll hit the 1000 pound mark this year. You can see more details of the harvests for the year by clicking on the link on my sidebar. This week I'm feeling a little justified in my extraordinary battle with the rodents for my corn. I managed to save all the ears of Santo Domingo Rainbow with damage to the end of only one ear. I stripped the orange and red ears separately from the blue and white ones. 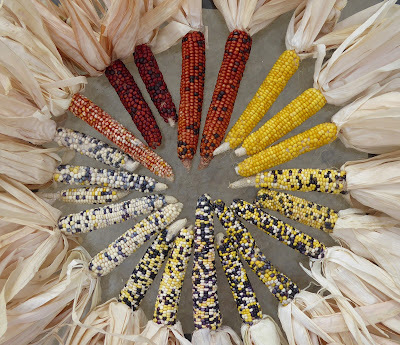 The red and yellow mix is particularly beautiful in my opinion. 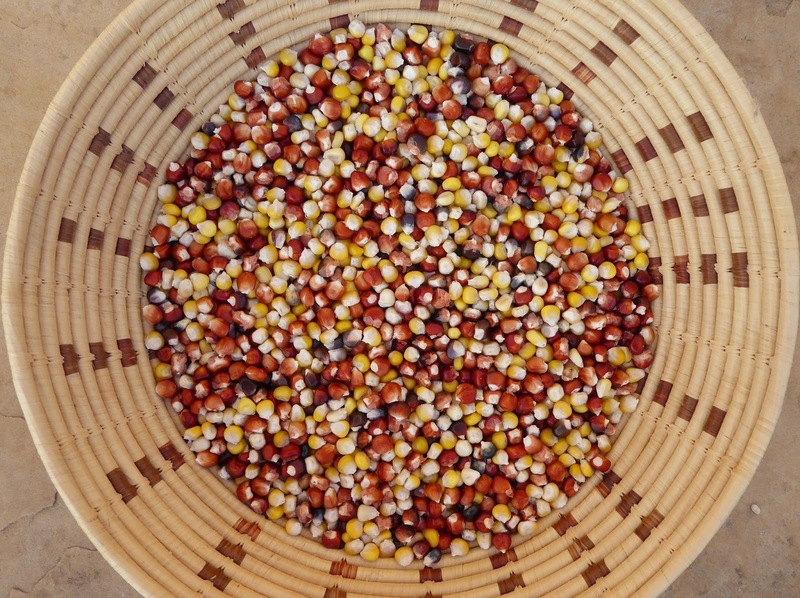 It feels wonderful to run my hands through the bowl of kernels, it makes me feel rich! They are like precious gems. Definitely precious considering the grief and work I went through because of the rodents. 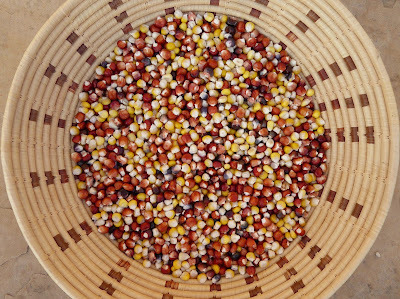 I lost nearly half of the ears of Hopi Greasy Head. These ripened earlier than the Santo Domingo and of course the rodents figured that out so they chomped through a lot of it before I figured out how to effectively deter them. I think a number of the ears are smaller than they could be because the rodents didn't wait for the corn to mature, they started in early on the silks before the ears were even fully pollinated. At this point I'm just grateful for what I managed to harvest. Will I go through the battles again next year? I'm not sure. This week is Aji Week, at least so far as peppers go. 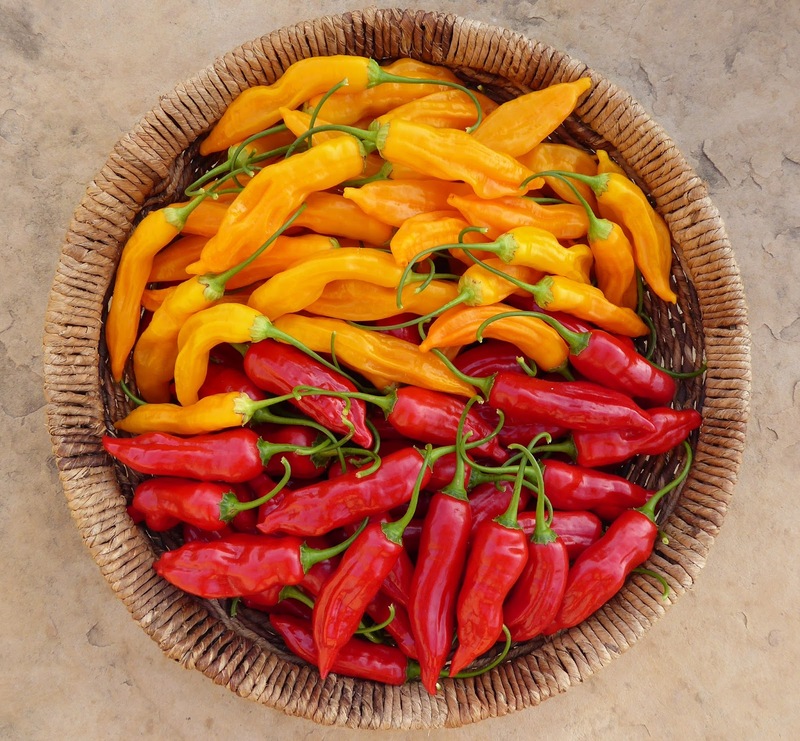 Aji Golden and Aji Angelo were the first to fill the harvest basket. 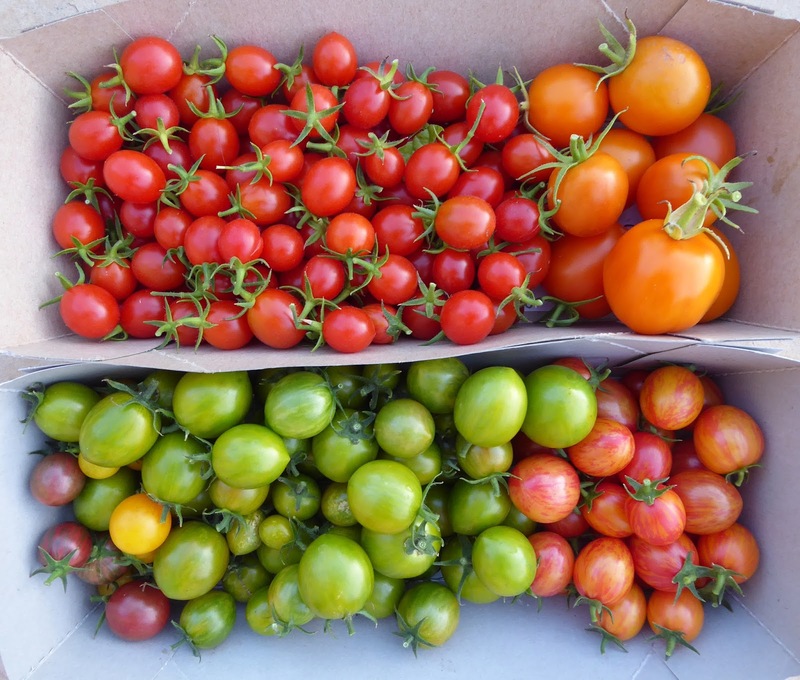 The plants are large and both turned out to be generous producers. That's 1.4 pounds of Aji Golden and 1.8 pounds of Aji Angelo peppers. I was a bit worried about the Aji Angelos earlier in the season, they looked to be larger and a bit more wrinkled than what I remembered in the past. Looking back to 2013 harvests when I last had a plant growing in a garden bed I can see that the peppers this year are indeed larger than those 2013 peppers. I had a plant in 2014 also but it was growing in a pot and it wasn't happy. But in looking even further back at growing this pepper I think that the plants weren't getting a chance to prove their potential. 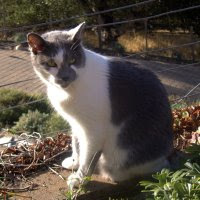 The last time that I planted Aji Angelo into the garden was in 2009. That was before I had my current big deep planting boxes so the plants were growing in shallow soil and most likely had to compete with oak tree roots for water and nutrients. In subsequent years I grew Aji Angelo in pots which always limits both the size of the plants and the peppers. 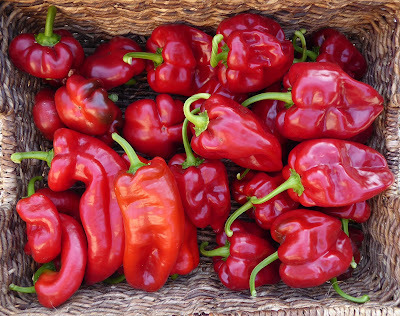 In 2013 it or a similar pepper volunteered in the garden and the plant produced some pretty nice peppers. 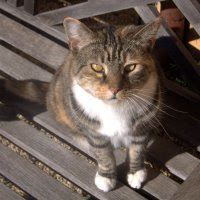 But that was before I started using mycorrhizal and bacterial inoculants in the garden. Those inoculants have made a big difference in the health of my pepper plants. The plants are larger with larger leaves and larger peppers. I've never had an Aji Angelo plant grow as big as it has gotten to be this year so I suppose it should be no surprise that the peppers are larger also. The flavor and heat level aren't different from what I remember so I'm pretty sure that these are the real deal. I made a pepper jam using half Aji Angelos and half Ometepe peppers to make a moderately spicy jam. Most of the rest of the Aji Angelos have been halved and seeded and are fermenting away in a mild unseasoned brine solution. My plan is to let them ferment for a week or two and then dehydrate them and grind them into flakes. Aji Golden is a new pepper for me this year. 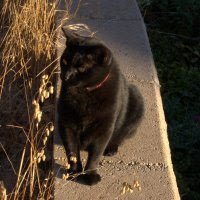 You may recall seeing them in Dave's (Our Happy Acres) harvest posts. Last year he offered seeds and I took him up on his offer and I'm so happy that I did. It's is a sweet, fruity, and moderately hot baccatum pepper, really delicious. I haven't put any of them to use yet other than to just sample them. I think that they will make a really delicious pepper jam. Baby Aji Amarillo is back for the third year. The first year I grew it the seed producer simply called it Aji Amarillo, but then they started carrying a much larger yellow Aji so they called the new one Aji Amarillo Grande and changed the first pepper to Baby Aji Amarillo. I've been growing both peppers since last year. The Baby version differs quite a bit from the Grande version. The plants and fruits are smaller and the peppers ripen quite a bit earlier and are more mild. The plants that I grew the first two years produced peppers that were almost entirely sweet. 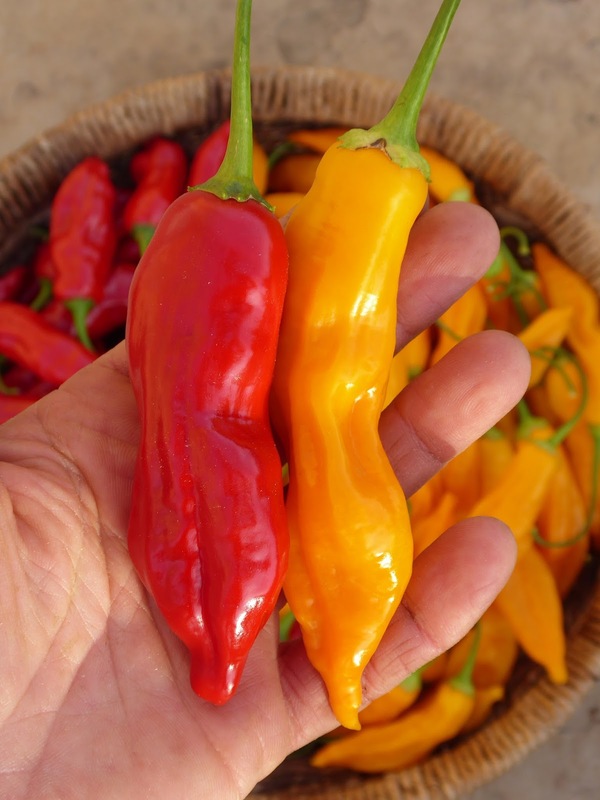 But the peppers from the two plants that I started this year have a surprising heat level, only medium hot but significantly hotter than what the previous plants produced so it was a surprise when I first tasted them. I kept the harvests from the 2 plants separate because as you can see one plant had larger peppers than the other and I wanted to see if there was any difference in flavor or heat as well. It turned out that the only differences are the size and that the smaller peppers started ripening earlier. 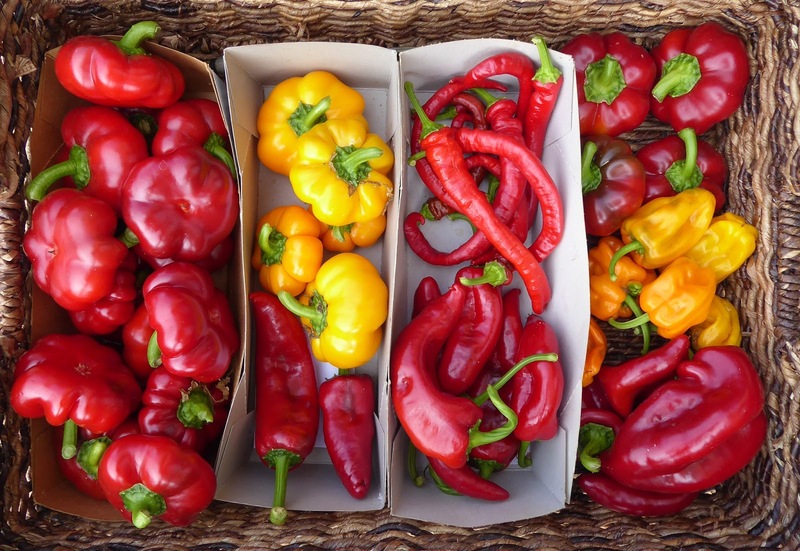 I still have one plant from last year which has produced a nice crop and those peppers turned out to be just as mild and sweet as the peppers it produced last year. It's interesting that the plants started this year from the same packet of seeds turned out to be so much spicier. I used about half of the latest harvest to make a batch of pepper jam and unlike the jams I made in previous years this time I removed the cores and seeds to tame the heat. 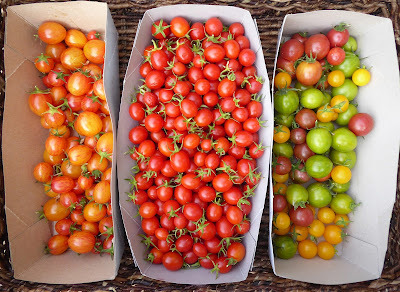 There's still a trickle of tomatoes ripening but the trickle is about to turn into a slight drip. Most of the sweet peppers are done except for a couple of late producers which are holding well in the garden for the moment so I've left them there since I'm still dealing with the peppers that I harvested the week before last. And one last colorful and new harvest - Cosmic Purple carrots. The only thing that I don't like about these carrots is that the color is only skin deep, if you scrub them the color comes right off. They aren't as sugary sweet as some orange carrots either but that's not a flaw in my opinion, sometimes I just don't want my veggies to be that sweet. Last week I got caught up on the harvests that were left in the garden while I was away the previous week. 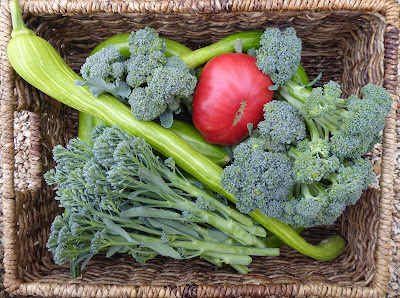 And as I mentioned before there were still some colorful veggies left to harvest. The Terremoto squash vines were finished off by the heatwave that oppressed the area while I was gone so one of the first things I harvested were the remaining squash. And then the weather swung in a complete opposite direction to cold and wet so it was time to bring these inside to finish curing. 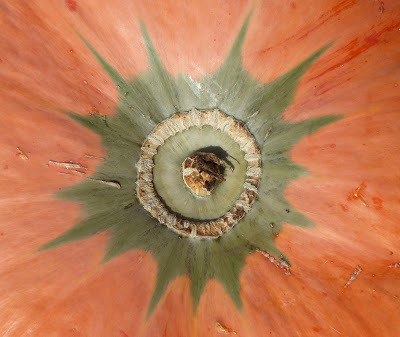 Terremoto squash comes in a variety of colors, some with green patterns on the skin, and I particularly like the green starburst on that one shown above. I cut into one of the squash that I harvested a few weeks ago. It was a large squash, enough to use for more than one meal. The flesh is dense, dark orange, and sweet. 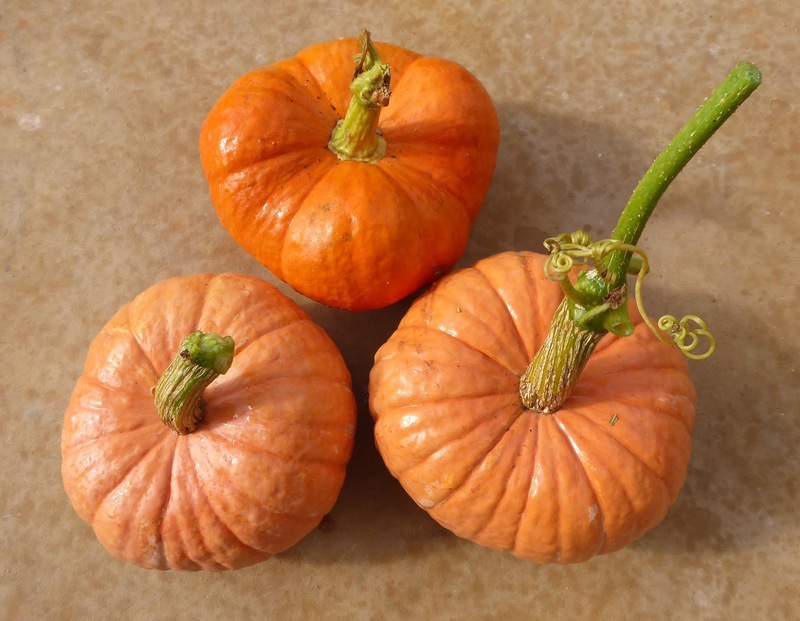 The first dish I prepared was a request by my husband Dave, Winter Squash in Agrodolce Sauce, which is traditionally panfried slices of squash that are served in a garlicky sweet and sour sauce that has a hint of cinnamon. I modified my usual preparation by roasting the squash slices in a preheated cast iron skillet which worked quite well for the 2 servings that I cooked up. If I needed to prepare more I would try roasting it on a larger baking sheet or go back to the stovetop method. It was a big hit, as usual, with my eat-in-chief. The second dish I prepared with another quarter of the squash was Farrotto with Roasted Squash and Chanterelles. I was very pleased with how that dish came out. Next in the lineup is a bean and squash medley with some Tarbai beans that I cooked up yesterday. 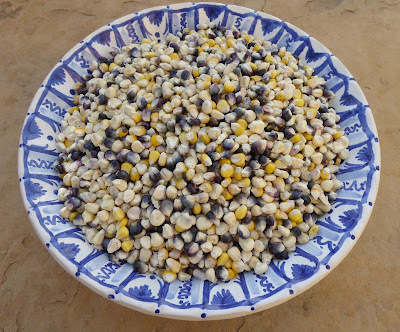 I've got some homemade hominy in the freezer that I've going to add to the mix too. 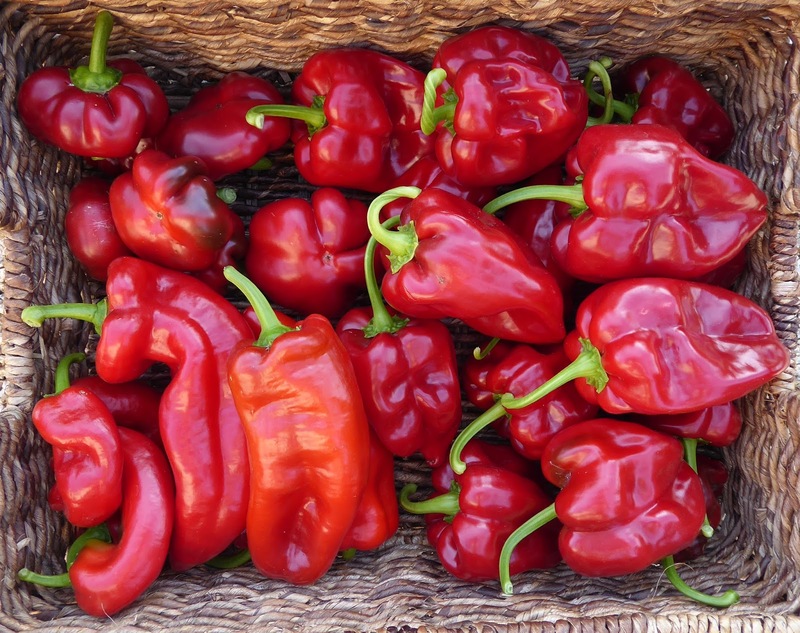 The first big flush of Ometepe peppers was ready to harvest. 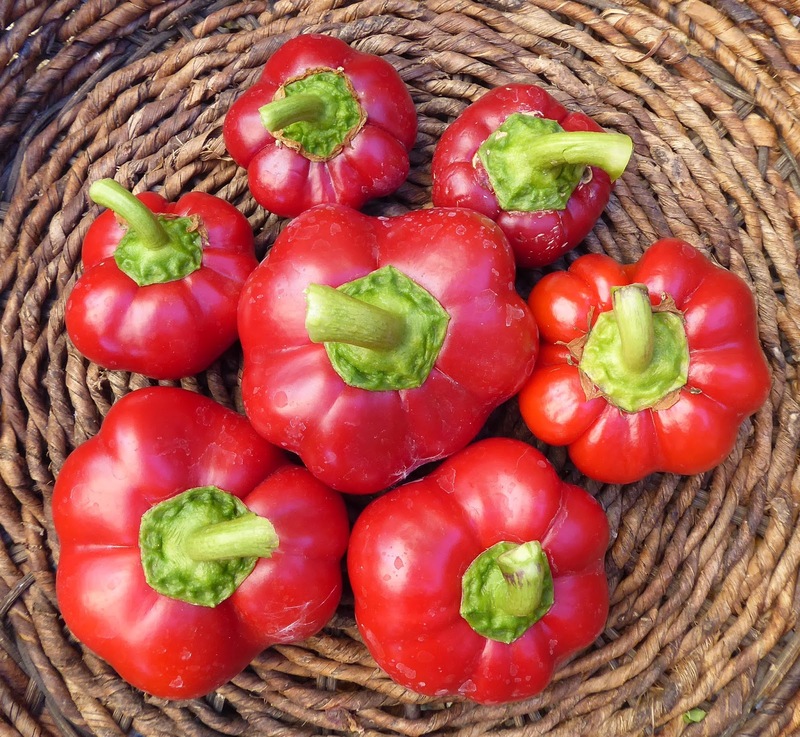 These were the last sweet peppers to ripen but were well worth the wait. 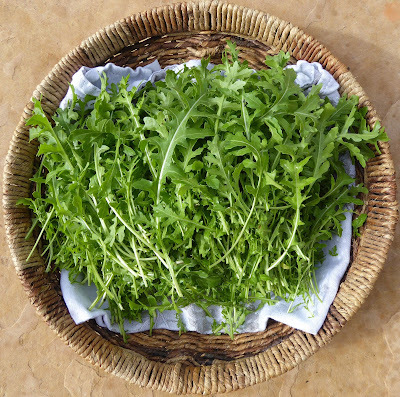 They are thin fleshed, crisp, and very sweet and I've been enjoying eating them simply sliced up raw or chopped into salads. Rosso Dolce da Appendere is also a late producer so I got to pick a lot of them also. The rest of the sweet peppers gave up pretty much the last that they had to offer. That's the final harvest of Shepherd's Ramshorn shown above. 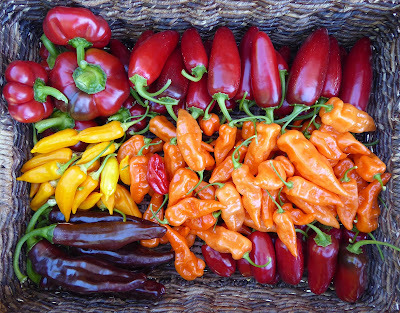 Gogosar produced a number of nice peppers also but those plants still have a few more peppers left. The rest of the pepper varieties shown below are basically finished for the year. The seasoning peppers are another story though. The Habanada plants are covered with ripening peppers. 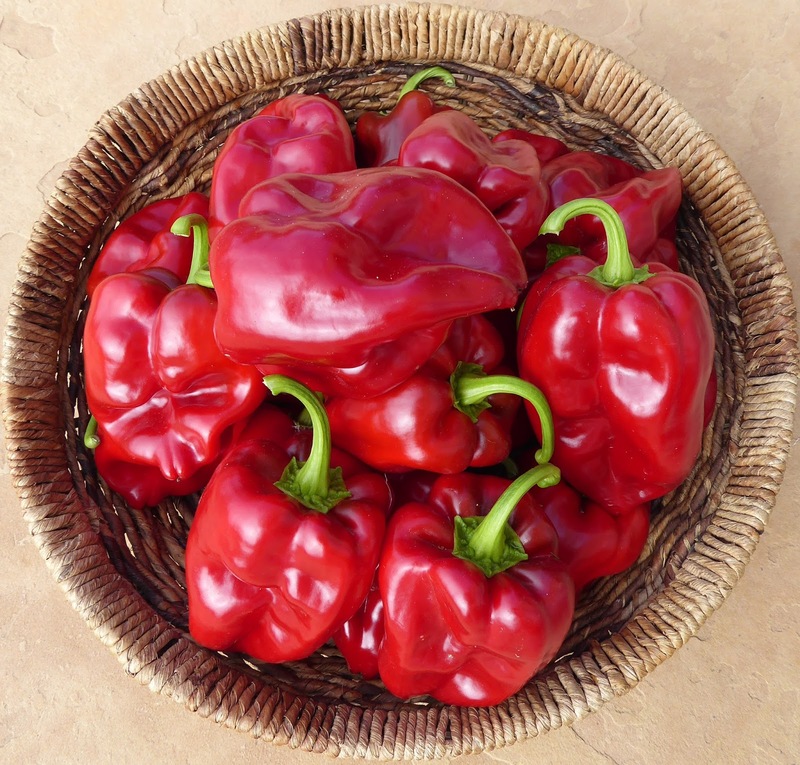 While the Carribean Seasoning plants have some ripe peppers they are far from being covered with them. Those just didn't do well. I guess they need something my garden doesn't offer because they set hardly any peppers. 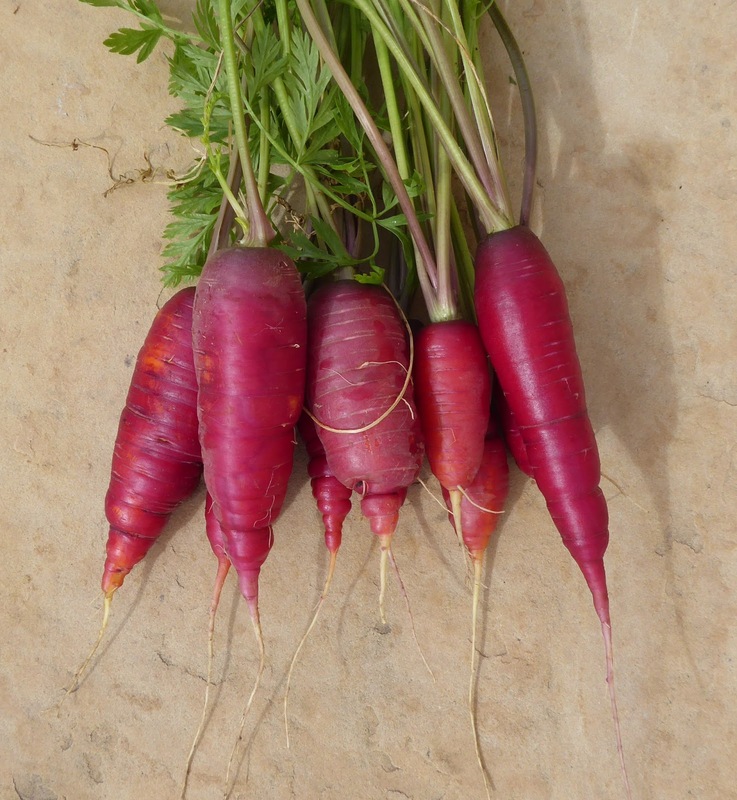 I wish they had done better because they are very aromatic and sweet with just a bit of heat, really very tasty. 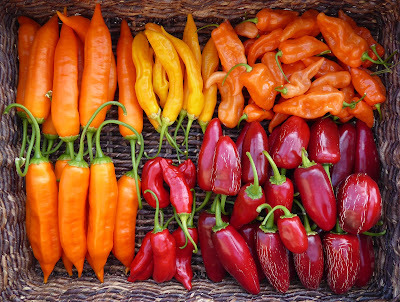 The Habanadas are sweet Habaneros and are totally devoid of any heat. They have a lingering fruity flavor but are not as aromatic as the Carribean Seasoning and I think they would be improved with a bit of heat. I've been snacking on them raw for lack of anything better to do with them. There's a lot of Aji peppers ripening in the garden but I've just not yet gotten around to harvesting them. So next week will be Aji Week! 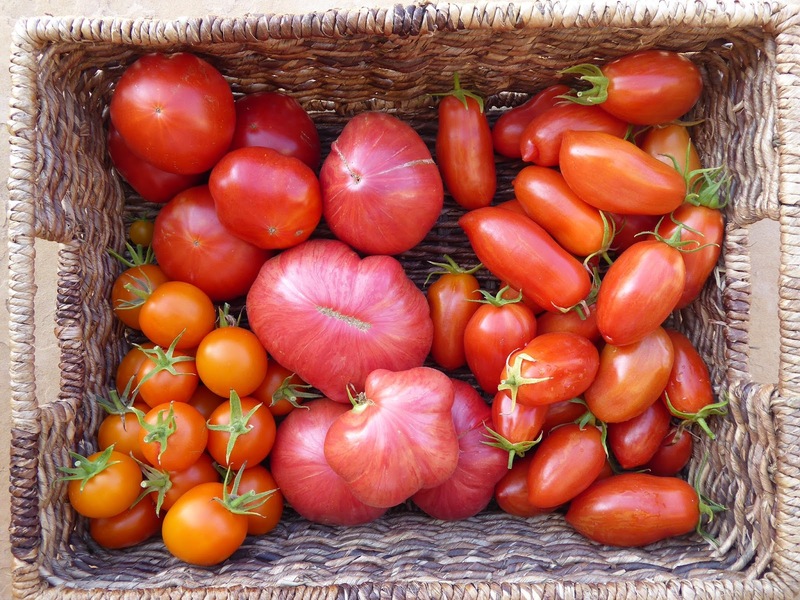 Tomatoes are still trickling in but the short days and cooler weather have really slowed them down. There aren't even very may green fruits left on the vines so I think the harvests will soon be coming to an end. 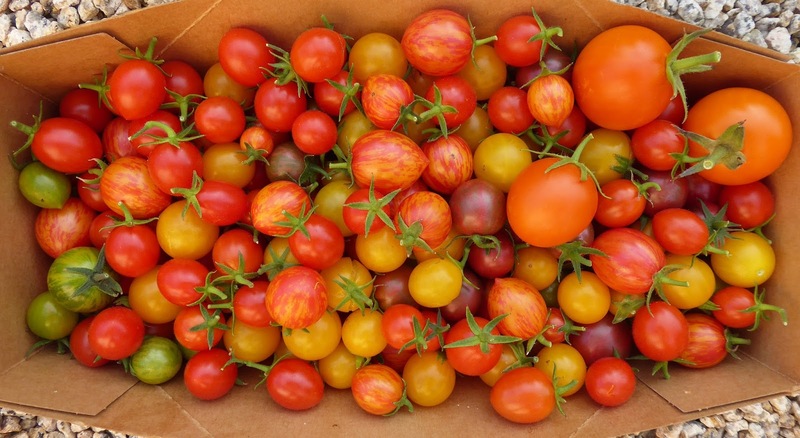 Those Piccolo Dattero cherry tomatoes are still pretty productive though, especially considering that it's November! The remaining tomatoes are ripening very slowly but even the half ripe ones are very sweet and tasty. The Tromba D'Albenga vines are still big and healthy but are only producing an occasional squash. The vines seem to be really resistant to the powdery mildew which took down the Romanesco zucchini weeks ago. The plants also seem to shrug off both cold and hot weather. I think it will take a hard freeze to finally take them down. Italian Mountain basil is adapted to colder climates so it tends to stick around longer in the fall than Genovese types. It still has some really good leaves even though it is in full bloom. 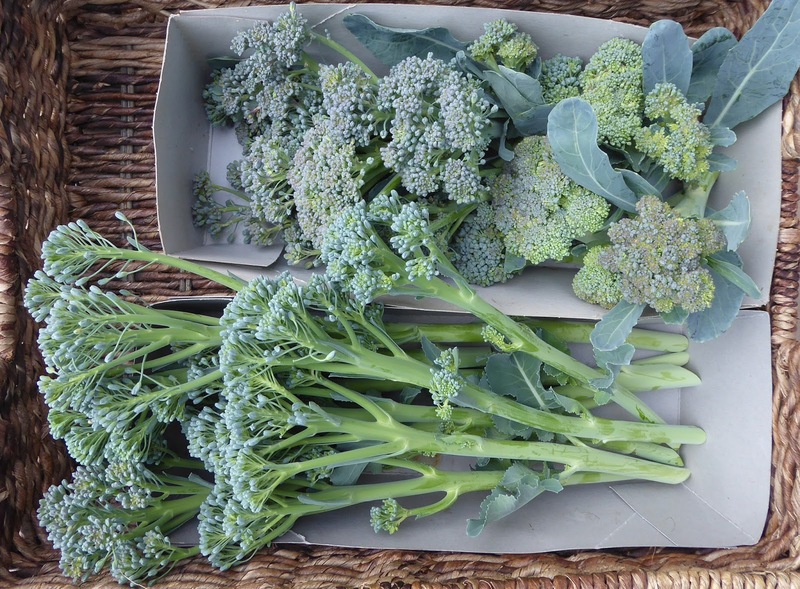 The old Batavia broccoli plants are still producing side shoots. 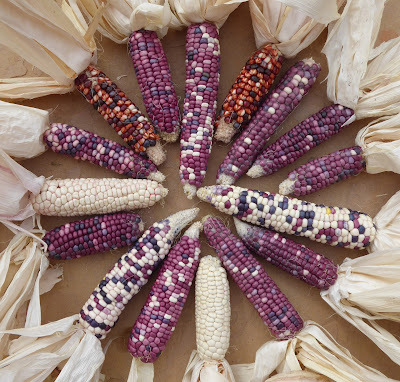 I sowed the seeds for some of the plants that I'm currently harvesting from back on November 10, 2016. Those plants are actually more productive than the other plants that I'm harvesting from now that were sowed on April 20 of this year. The new Broccolini (Aspabroc) plants are producing some really beautiful shoots now also. And Speedy arugula is providing me with all the arugula that I need for now. The see-saw weather doesn't seem to have stressed it out, it just keeps on producing.